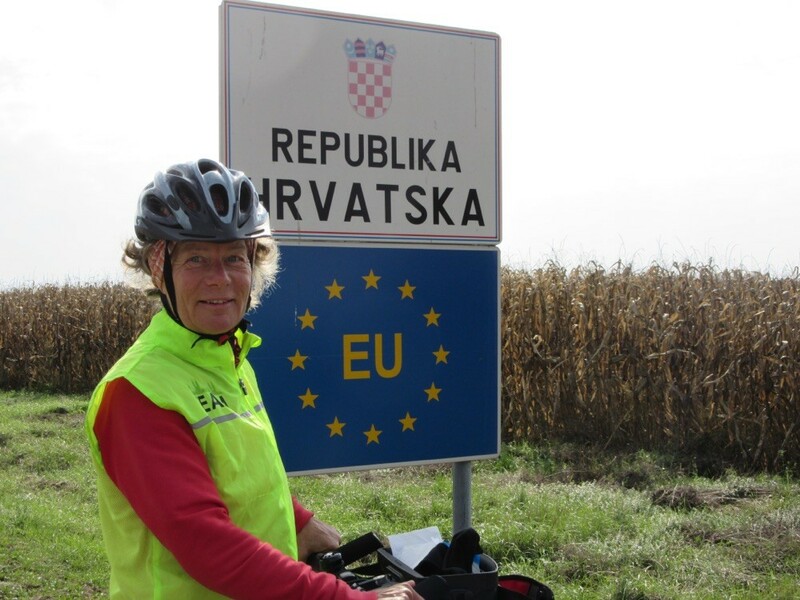 When we entered Croatia we were not sure what to expect. 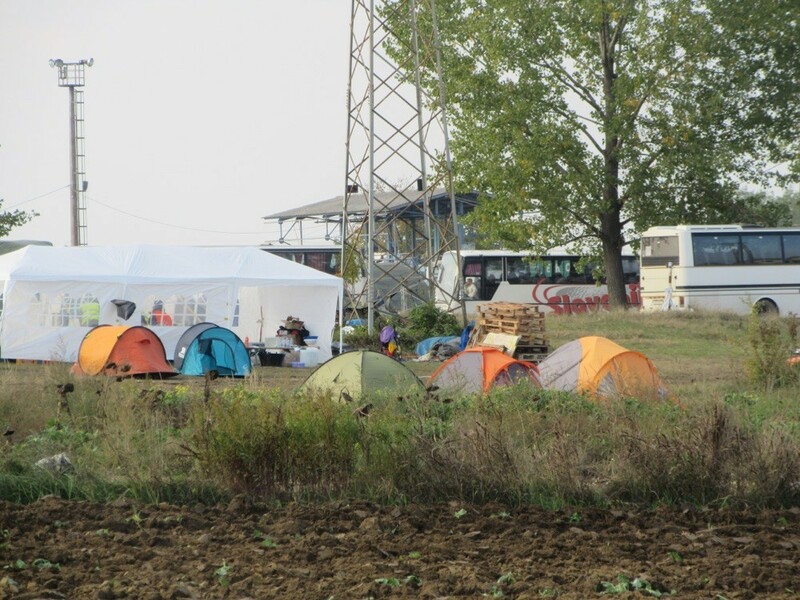 We had heard that Hungary had closed the borders because of the refugees. But actually nothing special happened. 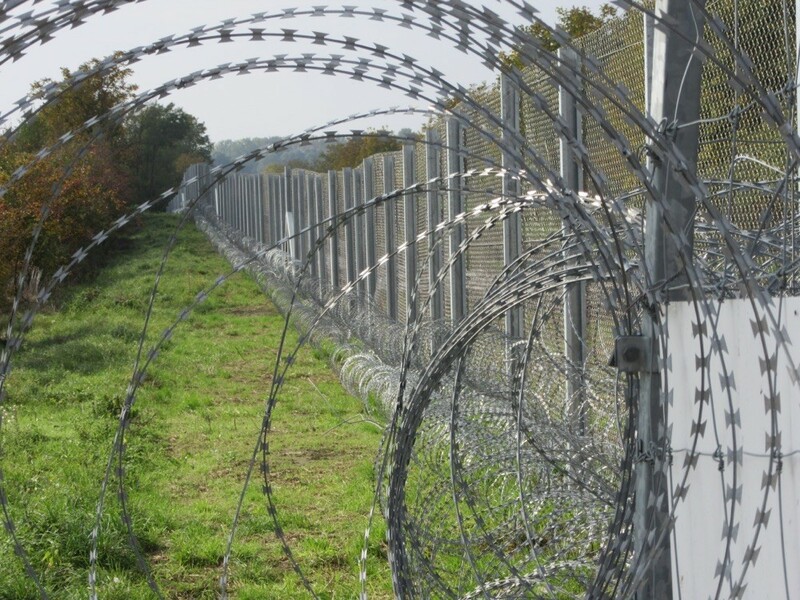 But we could see the wired fence along the border which really shocked me as it reminded me of the former border between east and west Germany. The villages were very poor but the main roads obviously had been renewed by the EU recently. 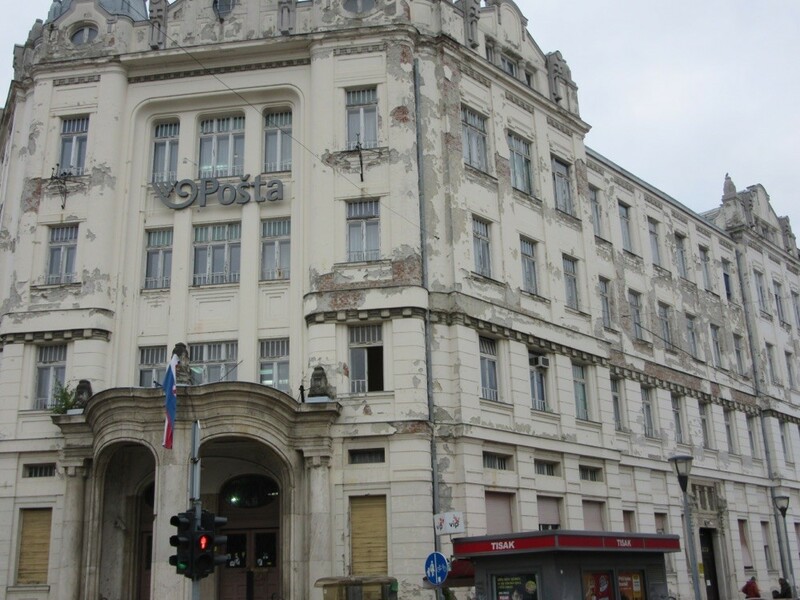 We came to Osijek, our destiny for the day. On our walk around the town we saw many houses which had the holes in the walls from the Croatian war from 1991 to 1995. That's 20 years ago! 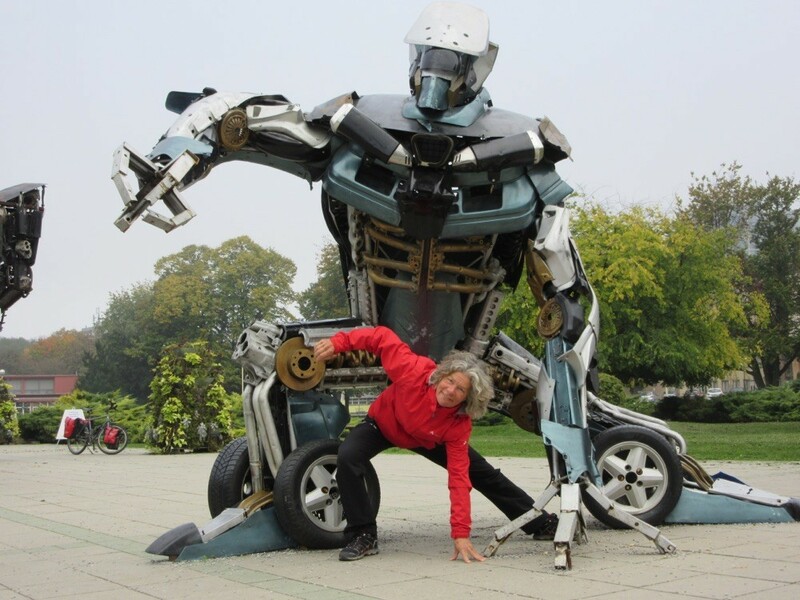 When leaving the town the next morning we passed by a park with funny sculptures. 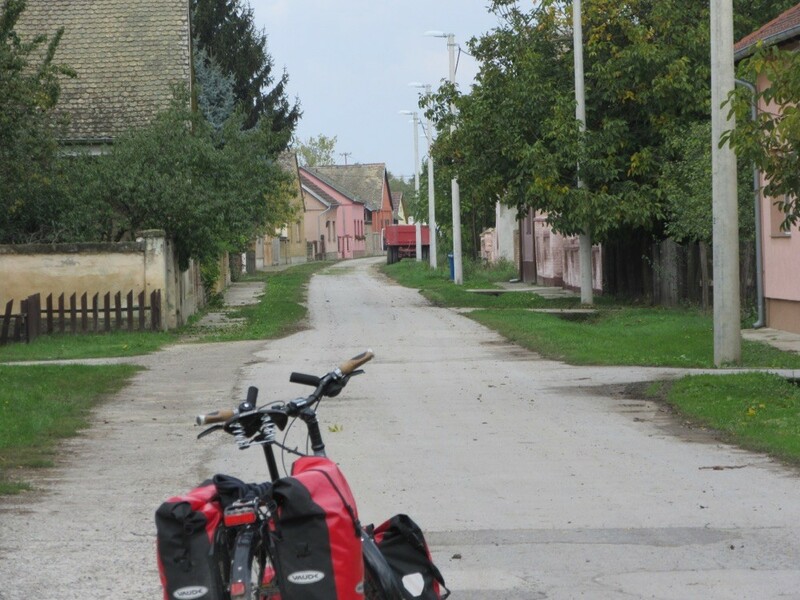 Then we went through big fields, little villages and reached Vukovar at lunchtime. We could not find the center first, it was more an industrial center. 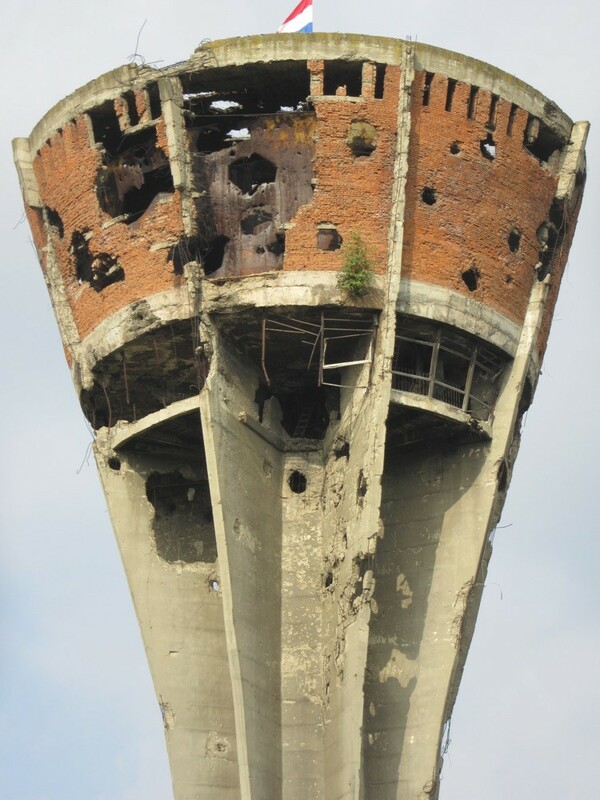 When we went on we came by this broken water tower in Vukovar which was destroyed in 1991 in the Croatian war and is now a memorial against war. Impressive! 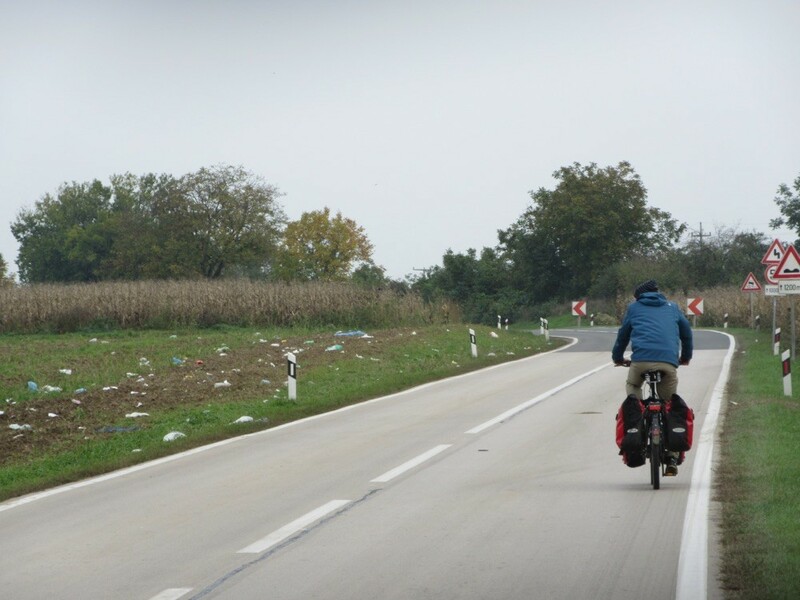 On our way to Ilok we met our first refugees. There were many busses and a camp beside the road. They obviously transferred the refugees from the Serbian border to this place in order to then transport them to Slovenia. And you could tell that they had walked along the road a few days ago because of ll the garbage lying around. We made it to Ilok and were quite tired because there were so many hills that day. So we were glad to find a nice room in the little bed and breakfast Masarini whose owner spoke German and told us about his time in Germany.